Summer ArtsFest 2013 is finally here! Enjoy local art, movie nights, interactive dance and music sessions? Then the East L.A. ArtsFest 2013 is the place for you this summer! 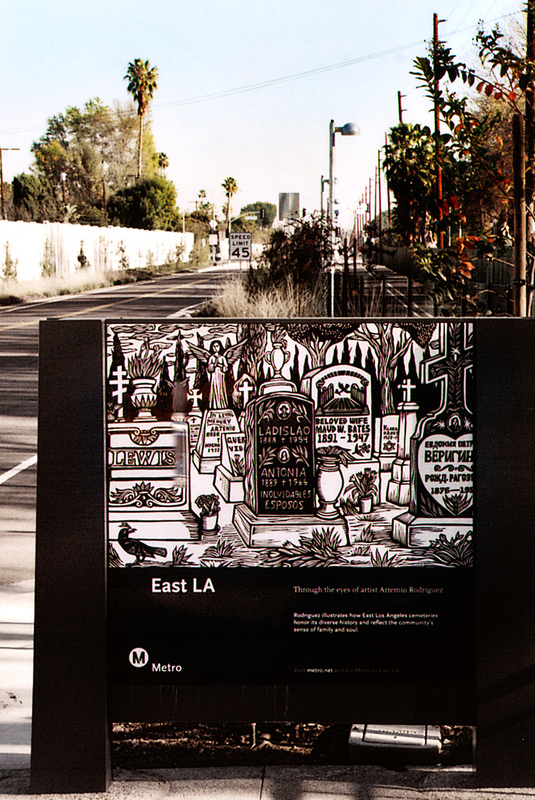 Located at the East Los Angeles Civic Center, Metro provides easy access to this cultural destination via the Gold Line Eastside Extension. Kicking off at 3 p.m. on June 30, the audience will jam out to music by performers ready to add pep to your step. Then later in the night, a spectacular fireworks show will commence at 9:15 p.m.
Want to take a look at local East L.A. art? The artwalk features local artists and artisans sharing their work with the public. There will also be live concerts for the audience to enjoy while looking at the art. The artwalk and concert series will be held on June 30, July 20, and August 3. On July 5 and August 2, the Ford Theatres will offer J.A.M. sessions where the audience is invited to dance to the beat or play to the rhythm of salsa music and drum lines. All levels and skills are welcome at these free interactive events. If you have a kid who loves to dance, a youth dance workshop will be held at the Heidi Duckler Dance Studio on July 19 at 11:30 a.m. and a youth performance at 2:30 p.m. Also in the studio, a performance with award-winning musicians Don Preston and Andrea Centazzo will take place at 7 p.m. on August 10. Various movies in the park will be shown on Fridays at sundown beginning June 28 through August 23. And a farmer’s market will take place every Saturday from 9 a.m. to 2 p.m., bringing fresh fruits and vegetables. The East L.A. Artsfest will conclude on Saturday, September 7, with an all-day celebration starting with a Family Fishing Derby at 7 a.m. and East L.A. Bike Ride at 10 a.m. Those who want to participate in this activity can register that day at 8:30 a.m. The artwalk and concert series finale and Taste of East Los Angeles will begin following the bike ride. Any day at ArtsFest 2013 is a day to remember and best of all, it’s free! To plan your best trip, visit Metro’s Trip Planner.